Ladies and gentlemen, your Gotham Rogues! Hines Ward...Willie Colon...Heath Miller...Troy Polamalu...and #7 in your program, #1 in your hearts, Ben Roethlisberger! The Pittsburgh Steelers' QB himself confirmed that he and several of his teammates have been drafted by director Christopher Nolan to portray Gotham City's professional football team in the upcoming "Dark Knight Rises." In the comics, Gotham's pro football franchise has been known as the Wildcats and the Knights (snicker). But this local Pittsburgh news report confirms they will definitely be the Rogues. Nolan and company have been filming in Pittsburgh for the past few weeks, and although Roethlisberger doesn't think he and his teammates (Maurkice Pouncey, LaMarr Woodley, Mike Wallace, Aaron Smith, Ryan Clark, James Farrior, and Casey Hampton also participated) will see much action, an official casting notice suggests otherwise. The notice indicates that filming at Heinz Field will involve "LOTS [sic] of special effects and stunt men," adding "Nothing is ever as it seems in Gotham City, especially at such a high profile game." That seems to be confirmed by this video shot by an extra at Heinz Field. Boom goes the dynamite. 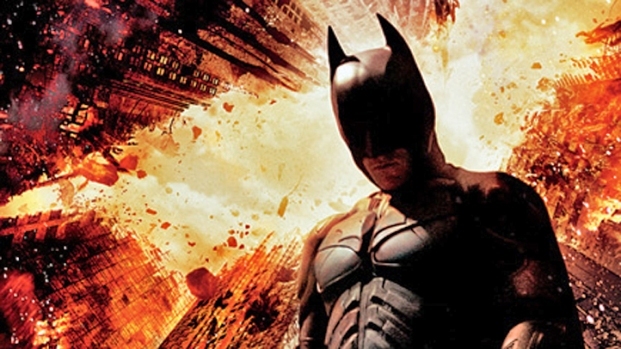 "Dark Knight Rises" doesn't actually hit theaters until next year.